An idle part-time college lector is annoyed by the yapping sound of a near-by dog. He decides to take drastic action. Strange things begin happening to an expedition deep in the Antarctic. Doo Hyun cannot stand with his wife anymore, he wants to divorce but he cant. Instead of cheating on her, he hired a Casanova to seduce his wife to make his wife leave him. Will he succeed? Three old friends and rivals get set to face off on a TV program billed as "The Greatest Fight Show on Earth". There are movies you watch to forget, and movies you watch to remember. Watch Haemoo to remember. (TIFF'14 Intro) Director Sung Bo Shim introduced the movie's afternoon screening and stuck around for Q&A session afterwards. (Review) I consider Snowpiercer to be one of the best films to come out of 2013, and Joon-ho Bong's co-scripting duties on Haemoo was what attracted me to Haemoo. 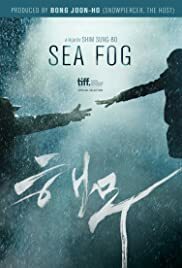 While first time director, and co-script(er) Sung Bo Shim took over directorial duties for Haemoo, it is with Snowpiercer that the film will most draw comparisons. Although they couldn't be more different in terms of scripting, plot, or even the message they aim to get across, they are both a gritty, bleak look at humanity's darker side, and in both cases, play their conflicts out in locations that mirror the messages the films are trying to get across. As Snowpiercer traces a revolution that begins in the bleak lower classes back carriages of the last remaining train on Earth, moves through the empowered, and autonomous middle class cars and ends at the apathetic, electronically numb upper classes carriages, the audience are treated to a class warfare fueled journey through the entirely of our world. 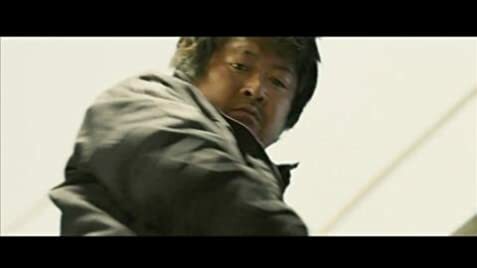 Bo Shim, here, plays his tale out on a small fishing vessel, and a desperate captain, who decides to transport human cargo when business runs slow. As in Snowpiercer, the fishing vessel, and the ocean it travels on, reflect the mental state of the crew. Clear waters and sunny oceans start their journey, dark stormy waters mark their arrival to pick up the new cargo and as the crew start breaking and coming to terms with what they've been forced to do, the Haemoo (sea fog) sets in, blinding our screens, and trapping the vessel in ethereal limbo. Bo Shim takes visual clues from Joon-ho Bong and dresses up the three areas of the ship according to their roles: the uppers decks are gray and steely, the fish hold (a very bad place) is dark and bleak, and the engine room, the only 'sanctuary' for a large part of the film, is decked in shades warm yellow and brown. The film looks stark and visceral, and everything, from the script to the acting, helps get that across. All the sights and sounds would be a waste without a solid script to back it up, and the movie does not disappoint. Haemoo throws average, ordinary, salt of the earth people into desperate situations that shatter, twist and test them. The movie's first act traces the lives of these fishermen, on and off land, and shows them going about their lives. The writing in these parts is so authentic that it's hard not to view them as real people, with real, crappy jobs by the time they head back off to sea. It is through these unremarkable and slow sequences (a charming little love story on the boat takes the better part of the first hour) that the script manages to put us at ease and catch us off guard when the s**t hits the fan. And it does hit the fan. I won't spoil anything for you, and while there's hardly any on screen violence, Haemoo was more effective as a horror movie than last night's screening of Rec 4. The final act culminates in one of the most haunting sequences you will see this year on the big screen, and ends with a perfect ending: unapologetic, chaotic, confusing, without closure. Real. Before the film began, one of the film's protagonists (also in attendance) said she hoped that the movie will stay with the audience long after it's over. I find it hard to imagine anyone walking away from this film unscathed. How could ordinary people do these acts? Was there something dark inside them all along? Perhaps the things they were forced to do shattered their minds? Perhaps there something dark and twisted in everyone? These are questions I should stop asking myself, but I can't. Haemoo is a masterpiece, and excels in getting under your skin and affecting you on a very primal level. This is a movie you need to watch, and with an excellent score to boot, one you should want to. 25 of 33 people found this review helpful. Was this review helpful to you?